Kelly was dressed in the typical Hollywood starlet costume -- a white tank, shredded jeans and a crushed velvet duster. She accessorized her trendy outfit with a pair of suede Princetown slides and aviator mirrored sunglasses. The 36-year-old singer/actress was in Australia to perform in the RnB Fridays Live Concert, featuring Monifah, Christina Milian, En Vogue and Mario. Kelly, who shared the lead singer spot with Beyonce in Destiny's Child, showed support for gay marriage in Perth. Rowland opened her set by announcing "love is equality" before performing a medley of DC's hits. Titan IS adorable, and his 'fro is errthang. cute family. Someone asked a very good question: Why do "celebrities have a nanny with them at all times?" Kelly is with her husband. The child's' father. Two parents are not enough? Money if folks could do it they would do it. it doesn't become a problem until black people do it. When white folks like Dump was doing it no one said a word now we do it, it is a problem and we are bad parents. Why do you have to bring up Trump all the time?! That YT man have some of y’all spooked!? ???? Love is more than equality! Perfect response!!! I was trying to figure out how to word it! I brought it up because it is true and his wealth is in our face on display everyday. You think wealthy white people like Dump, Vanderbilt's, Ford or Rockefeller's never left their house without their nannies. No. I bring them up again because folks marvel over how much Melanie shoes cost over $3000.00 but let Michelle shoes cost over $38.95 folks have a fit especially black people. Malcolm X said it best when he said how black folks would stand in line and rave and marvel over the Kennedy's clothes and sleek limousines when they came to town. If they were black, black folks would be the first one's to call them uppity and wouldn't vote for them because of their wealth. The parents are working. Having a nanny is no different than paying for 24-hour childcare. If you can afford it, why not? My daughter pays $400 a week for part-time child care. And prior to that, her mother watched grandbaby full-time and she paid her an annual salary. Taking a different perspective, instead of slinging an insult, would have been your best observation. I disagree. Most blacks call people uppity only when they act uppity. If they are down to earth grounded people, blacks embrace them and marvel at how gracious and humble they are. Kelly looks annoyed in that one picture. The little boy must have worked her nerves! i wasted my time typing this and you already addressed it. i don't get it either. who gets 24-hour childcare? that means you never interact with your kid. When the Obama’s were in the White House we weren’t reminded of their wealth?! Hell when they left we saw all the wonderful vacations they took. Stop stressing over Trump he was born white and wealthy and will die that way. You don’t have to defend the Obama’s because they have more money than you will ever have in your lifetime. Obviously, anyone who can afford it. Nannies are a common practice in other parts of the world, regardless of wealth. You got a problem with Obama taking fab vacations when they leave but don't have a problem with Dump taking fab vacations on tax payer's dime while he is in office. Charging the Secret Service $6000.00 to ride on a golf cart to protect him. Really. What you mean by 24 hour day care? FOREAL... I swear I would get one now just to get me through my 1st trimester because I can barely take care of myself while trying to take care of my lil one. What is acting uppity? Clarence Thomas said that is why they took him to task because he acted uppity. He thought he was acting proper playing it safe in a white man judicial world not to rock the boat. So if someone act with class is that uppity. Uppity doesn't mean one has money. Broke people act uppity against people with money more than people with money act uppity against those who has no money. I agree. My point still stands. All you did was define it. They can both be driven off the nearest cliff, my life won’t change. Go give the neighborhood crackhead a dollar and stop worrying about people who don’t give a ish about you. ????? #GetALife # GoKillNeNesRoaches! ???? https://uploads.disquscdn.com/images/7e8fe0bd8305193af3fe9044955e0359ff1bc33e35fb87f4751f3d65d07be998.jpg A little Afro Sheen aint hurt nobody. RIGHT! Cause how often you see both of them on stage together? Rich people problems. A 24 Nanny for a new mother is understandable....and surely certain circumstances but most people are just lazy. Yeah, Kelly can afford a nanny but not a comb or grease! They hand the kid off to the nanny when the camera's not around. Where is there an insult? You should have kept your insult. Arguing on a urban blog. Messy. Yeah that's why I was like just this 1st trimester because LAWD I feel like I'm about to lose everything right now, my mind, my job, my man and my life. I couldn't imagine not being in my childs life and doing the basic stuff a mom is supposed to do. I don't see any resemblance between him and Blue. He looks like his parents imo, as does Blue. People keep perpetuating this lie the same as Khloe Rowan looking like OJ Simpson. The idea is to brainwash people into thinking Kelly and Beyonce are siblings via Matthew. However, Beyonce's father is NOT Matthew Knowles. OHHH Wee! 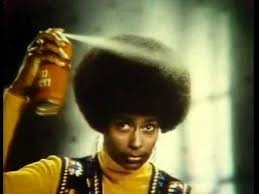 My family used to have us sniffing, smiling and gagging from the scent of Afro Sheen! Whaaat? Who is her daddy, then? I know we are doing the "my black is beautiful" but that DOES NOT MEAN LEAVE WITHOUT COMBING, PATTING, BRUSHING YOUR HAIR. Kelly is on point 98% of the time. Why does her son's hair look like he is homeless? ....and that has NOTHING to do with white people! Alex Roldan. They are twins. Google Khloe Kardashian and Alex Roldan. her mother wrote about their affair while she was married to her Kardashian in her book. Beyonce Giselle Knowles real father is is Gisele Marnier.